It’s very exciting starting a new business but there are a number of legal issues that present themselves. It can be daunting and at times overwhelming, trying to make sense of all the legal jargon. 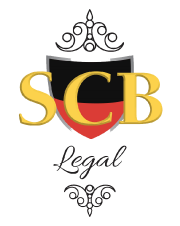 SCB Legal’s business lawyers are dedicated to simplifying the law for you and will explain all the particulars, so that it’s easy to understand. We are committed to solving your business legal issues by providing the best legal advice. Our team of expert business lawyers are patient, experienced, dedicated, reliable and will be your best advocate helping you to forge ahead. SCB Legal business lawyers love seeing clients succeed and we passionately support small business owners. We will help protect you and your business by implementing best business practices like creating a Letter of Engagement. The way you begin your business is very important. Creating the necessary documentation, ensuring you’re paid and on time is just one of the valuable tools we can create for you. Many people become so involved in the day to day operations of their business that they forget the ever important aspect of ensuring that they’re paid promptly and in full. This is precisely why having a business solicitor thinking of the necessary preparation and agreements is vital. Are You Currently Establishing Your New Business? Call SCB Legal’s expert business lawyers to create the required agreements for you! Do you have the necessary skills required for your chosen business? What are the pros and cons associated with starting your own business? Have you created a business plan and marketing plan? What are your goals and objectives for the business? It’s useful to set a time frame for when you expect to meet these goals. How much revenue does your business need to produce? Have you selected a name for your business? What Do I Need To Know Before Starting A New Business? Are You Ready To Start Your New Business Venture? Would you like to speak with one of highly qualified business solicitors? If you answered YES to either of the aforementioned questions then let, SCB Legal best prepare you for your new business. Congratulations! on taking the first step in what we hope will be a very successful enterprise. There are many aspects required when starting your business and the following reveals some of the ways our business lawyers can assist you. Entrepreneur magazine recently dedicated an article to the setting up of a new business. It outlined the many reasons why hiring a qualified business lawyer is imperative when you’re beginning a new business. Are you ready to begin your new business? A company is a legal entity and is separate from its shareholders. Sole trader refers to an individual who acts on their own and is legally responsible for all activities associated with the business. A sole trader is permitted to employ people to assist with the running of their business. Partnership is defined as an entity comprising two or more people who run a business together. Trust is an entity that controls the property and or income on behalf of others. It’s important to remember that a business structure can be changed or restructured as your business grows. Why Is The Structure Of Your New Business So Important? It’s important to select a business structure that best meets your needs. Each structure has its own advantages and disadvantages, so it’s important to thoughtfully consider each structure before deciding which one will best serve you and your business. Would you like to speak with one of our experienced business solicitors to advise you, as to which business structure will best meet your requirements? Call now to take advantage of our FREE consultation and discuss your new business today. Would You Like To Speak With One Of Our Experienced Business Solicitors, So They Can Advise You As To Which Business Structure Best Meets Your Requirements? Call now to take advantage of our FREE consultation and discuss your new business today! What are the costs pertaining to business name registration? If you have decided on a company structure, you are required to register a company name when you register your actual company. Business names that are not structured as a company need to be registered with the Australian Securities and Investments Commission (ASIC). The only type of business that does need to be registered is one that is your actual name. For example, the fashion designer, Leona Edmiston would not have been required to register the name of her business, as it’s her real name. If you’re seeking an exclusive business name, then it’s important to trademark the name, so that it’s secure. It’s important to remember that registering a business name and or a domain name will not provide you with exclusive rights to the name. Only a trademark will afford you this privilege. We will discuss all the legal parameters with you and even file all the necessary paperwork, so that you can focus on your clients and staff. Would You Like Exclusive Ownership Or Proprietary Rights To Use A Business Name? Call SCB Legal to find out how you can best protect your business name! If you want to own a domain for your business, you need to have an Australian company name or an Australian business number. Domains in Australia end in .com.au or .net.au and your service provider will assist you with the yearly costs that relate to its registration. Irrespective of the type of business you’re embarking upon, we will advise you as to the best legal processes and methodologies you should be practicing to ensure your business runs smoothly. Your accountant has the responsibility of preparing and filing your annual tax returns. However, it’s your business lawyer who ensures that your business has been registered for tax. Your solicitor understands the tax implications for your chosen business, which is why it’s important that you consult a lawyer. Some tax registrations apply to all businesses whereas others may be compulsory depending on the size and type of your business. When you start a business, it’s more than likely that you will require office space or a retail store. It’s vital that you completely understand and agree to the terms that exist in a commercial lease. You will be signing a legally binding contract and will be expected to comply with all the terms and conditions stipulated in the agreement such as the term of the lease. Imagine a 5 year lease term. A lot can happen during the course of the next 5 years, so it’s imperative that your wishes have been communicated clearly and accurately. This is where a solicitor will ensure that your lease meets both your requirements and expectations. Seeking expert legal advice is crucial, so that you prevent costly misunderstandings from occuring. Your Commercial Lease Or Review The Contract You’ve Been Given? How Can I Prevent Lawsuits And Liability Claims? While it’s never pleasant to think about what can go wrong in business, especially given the enthusiasm one experiences when beginning a new business, it’s important to consider. We will assist you if you’re in the unfortunate experience of being involved in a lawsuit and or liability claim. The time to engage a business lawyer is before you are sued. The reality is that it’s far more prudent to preempt problems before they arise and that’s why a business lawyer is so essential. Once you have been served with a summons and complaint, it’s unfortunately too late, as then it’s merely a question of how much you will be forced to pay in order for the problem to be resolved. The legal profession operates in a similar way to the medical profession – prevention is better than cure!